Now you may think that the top image is a little jazzier than usually for this blog - I don't usually put an image on a colourful background and badly do some kind of typography, do I? 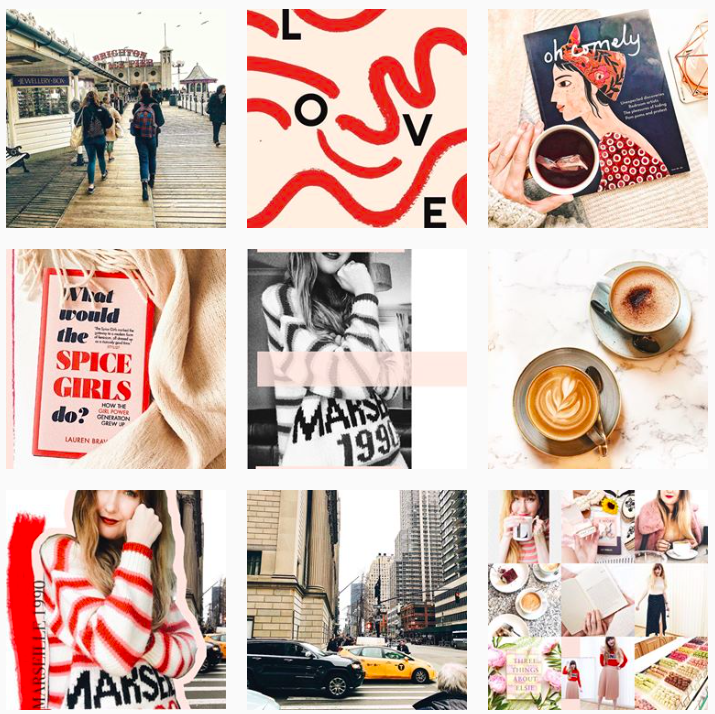 BUT, I'll be honest, being inspired by the people of Instagram (specifically their stories!) I thought, why not bring a little colour to a usual normal photo... As you can see the theme of todays post is pink, this is most definitely not the first time. 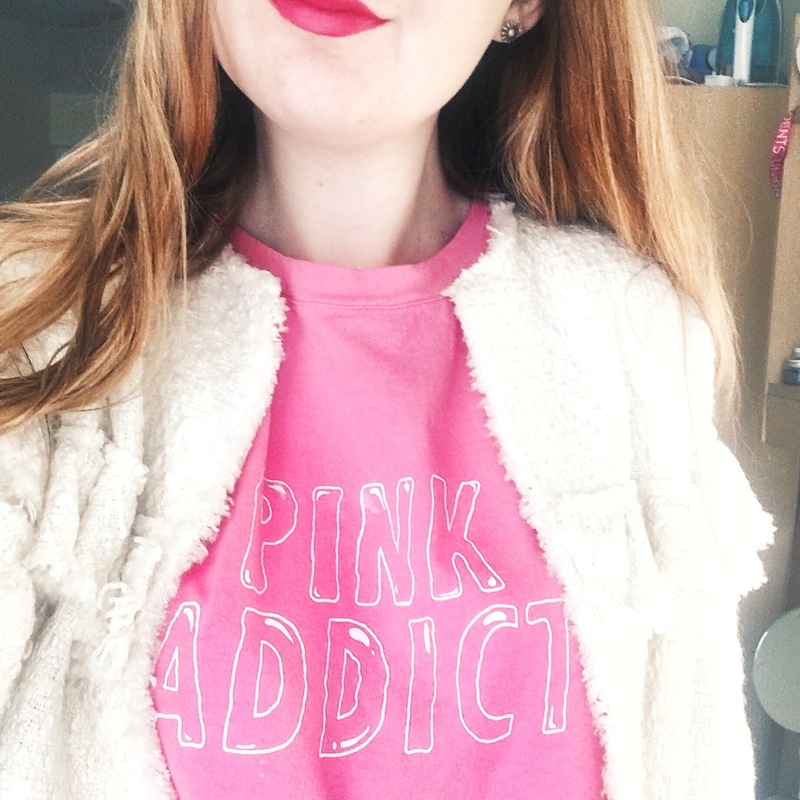 I picked up a t-shirt off Depop last week, a tee with the aptly name slogan 'pink addict', I mean when I saw it I thought to myself 'if the shoe fits..', having received it earlier in the week I can honest say its my new favourite item in my wardrobe. So what better way to commemorate this? 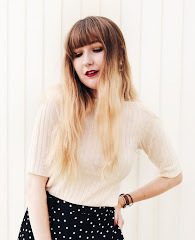 Blog about it of course! 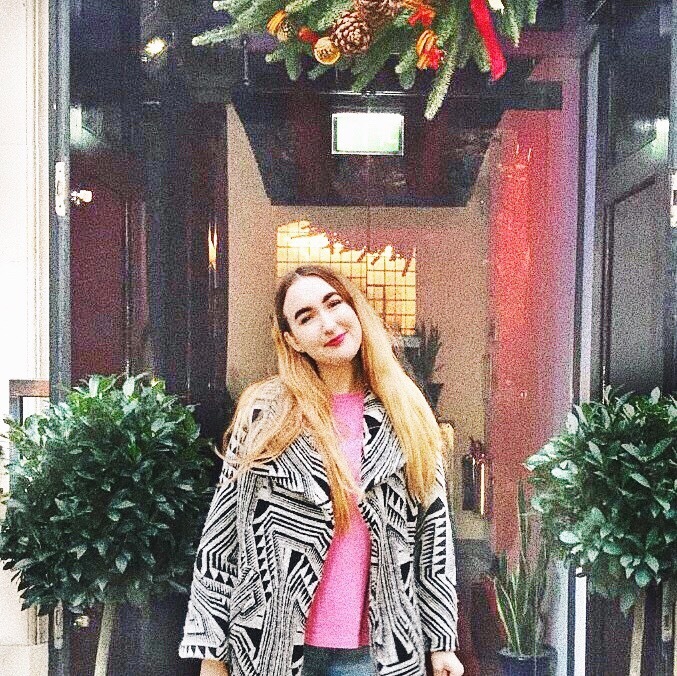 All together I've worn it 2 different ways this week; pictured above when out in London - posing only ever so slightly ~awkward~ underneath a Christmassy wreath.. and to uni a few days back. 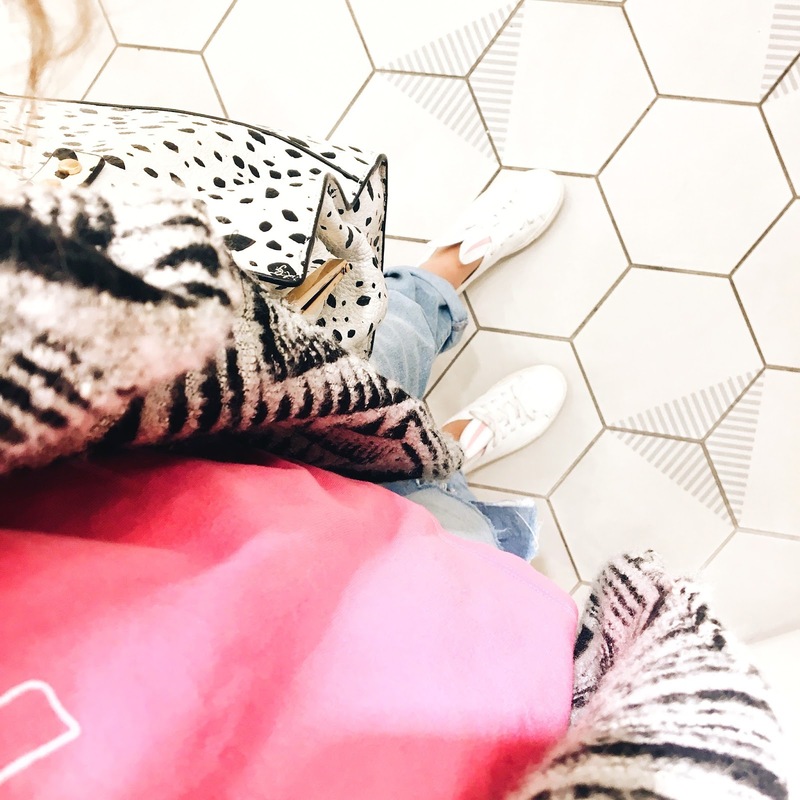 I may only be a simple t-shirt but boy do I love it in my wardrobe.. the colour of Christmas may be red, but why not a little pink, every so often?! 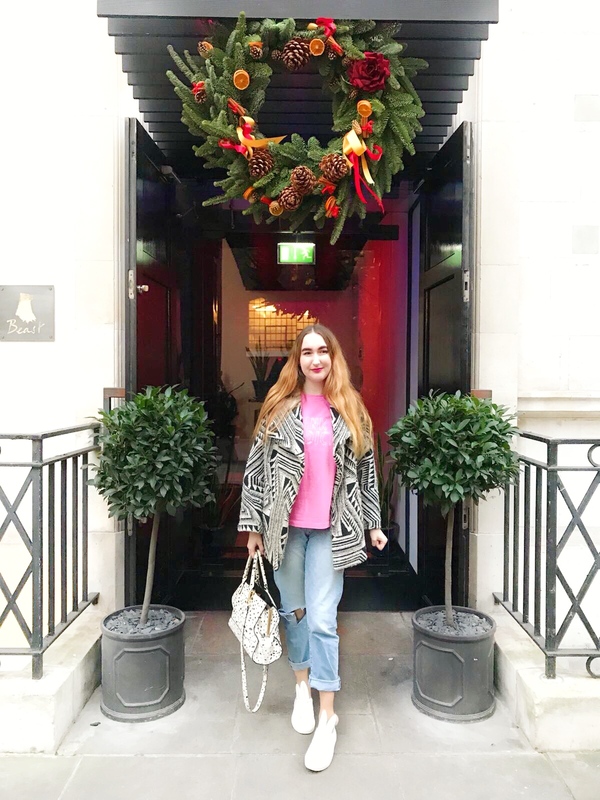 Snippets of a Festive London..